The White Interior: Timeless or Trendy? There has been one trend dominating the industry in the last few years – white interiors. 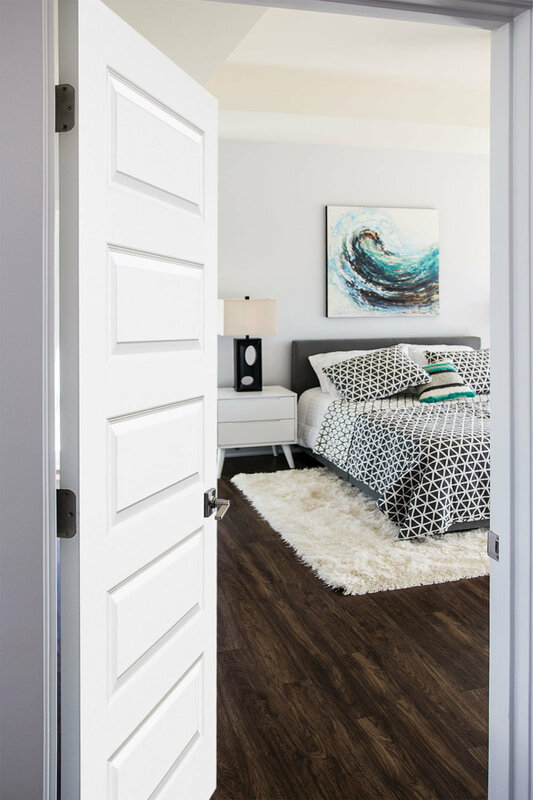 Just open any social media site and you will see a whitewash of rooms with painted trim, all-white cabinets, and the ever-so-trendy Scandinavian-inspired room that is drenched in white from floor to ceiling. In 2016, Benjamin Moore and Sherwin Williams even named white tones as their colors of the year. Since then, homeowners and renovators have used white paint as a panacea. Moved into an old home with a lot of woodwork? Paint it white for a fresh look. What a small space to look bigger? Wash the walls in white paint. Building a new home? Make sure your kitchens are all white so it doesn’t look dated. With the white dominating images from online and in design magazines, it begs the question: Are white interiors timeless or trendy? When I meet with design clients, there tends to be two distinct camps. The first is the client that embraces whitewashing and the second are the wood-purists that would never dream of painting good solid wood cabinets. Neither of these approaches are wrong. Good design is about creating a balance between all visual elements. Just like how we inject a curved line to break up the visual rhythm of rectangular rooms for a more dynamic design, designers use color contrast for a larger visual impact. A well-designed home mixes wood tones, paint colors, and material in order to feel more luxe and unique to the homeowner. In my opinion, white is timelessly chic and endlessly adaptable. It transcends style. The color lends itself well to all design aesthetics – from airy coastal interiors to glossy modern architecture and Scandinavian minimalism. With white being so versatile, the question then becomes how to use it. If you want a more historical or traditional look then keep with stained wood millwork and bring in a warm-tone white on the walls to brighten up the room. For a coastal or contemporary look, go with white on the millwork and walls and then mix in more weathered materials to add warmth and texture to the space. Today, the goal is to use white strategically in order to maximize light and highlight artwork and furnishings. Luckily there are great products out there to help inject a bit of white into your home without having to get out your paint roller. Most cabinets companies carry at least one shade of bright white and one antiqued white so you can get that dream white kitchen but still have a factory finish cabinet for durability. One thing I am convinced of is that the white kitchen is here to stay for years to come. To bring home the look, many companies carry in-stock painted doors and mouldings that range from more traditional Colonial base to Mid-Century Modern 2-step casing. The possibilities are endless! If you need a little direction, then we are here to help. We can help determine what your house needs in terms of stained or painted wood and then pick out the perfect color. Contact us today to schedule your in-home consultation with our expert designers. Note: this blog post is a part of a series of articles that JZID has written in coordination with Western Building Products. You can see this article published on their website, as well.